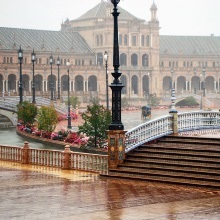 One of the world's most interesting cities. A melting pot of cultures which is more than 3000 years old. Contact me and tell me what you would consider a perfect visit. I will organise it all for you. English, German, and of course, Spanish. 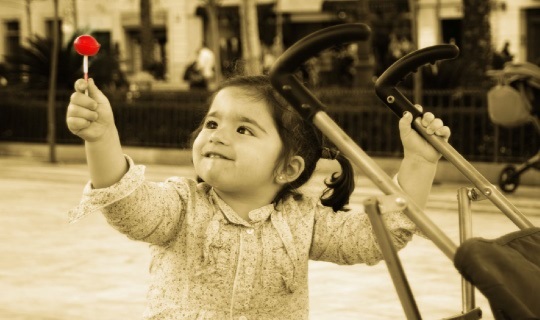 Routes for the blind and the wheelchair-bound. I will organise and coordinate any tour you choose. 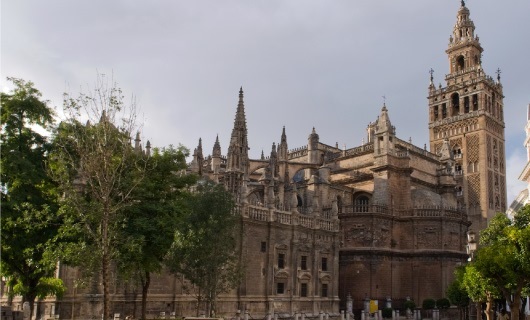 Discover the Cathedral and the Giralda, with their courtyards, chapels and treasures, as well as their history and idiosyncrasies. All strewn with unforgettable anecdotes. The tour includes a delightful walk around the emblematic Santa Cruz neighbourhood. Approximate duration 3.5 hours. 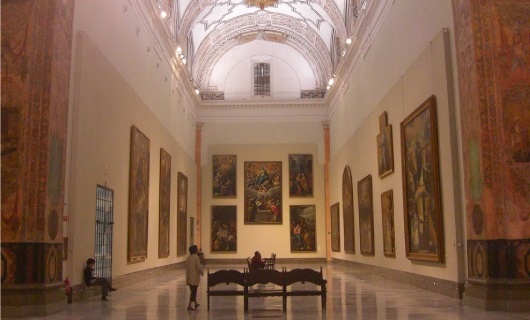 Museum of Fine Arts (Murillo, Velázquez, Zurbarán, Juan de Valdéz Leal, Gonzalo Bilbao...), the Archaeological Museum, the Museum of Arts and Traditions, the Contemporary Art Museum, the Museum of Flamenco Dance, the Bullfighting Museum, the Monastery of Santa Paula Museum... Approximate duration 3 hours. 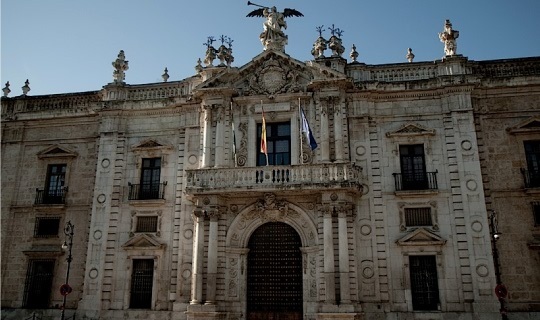 The XVIII century saw the ruin of an important part of the city's houses in the wake of the Lisbon earthquake of 1755, which led to a process of reconstruction which would come to equip Seville with a vast wealth of domestic architecture: The Pilatos House, the Palace of the Countess of Lebrija, the Palace of San Telmo, the Pinelo House, the Archbishop's Palace... Approximate duration 3 hours. 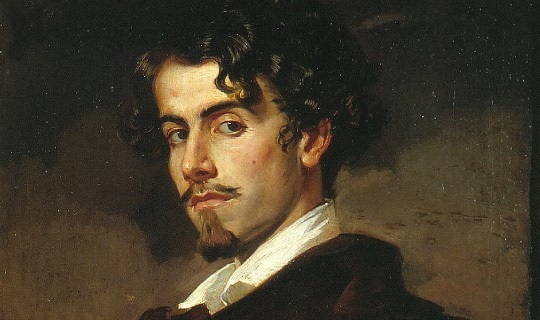 By combining literature and topography, we will discover where Fernando de Herrera el Divino, Baltasar del Alcázar, Francisco de Rioja, Mateo Alemán, Blanco White, Alberto Lista, Bécquer, Rafael Cansinos Assens, the Machado brothers, Cernuda, Vicente Aleixandre and a long line of writers from Seville lived and gathered. Approximate duration 3 hours. 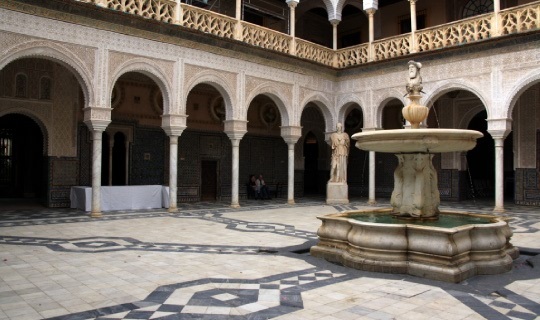 A tour around the locations in Seville that served as setting and inspiration to some of history's most famous operas: Carmen, Fidelio, The Barber of Seville, Donizetti's The Favourite, The Marriage of Figaro... Approximate duration 2 hours. 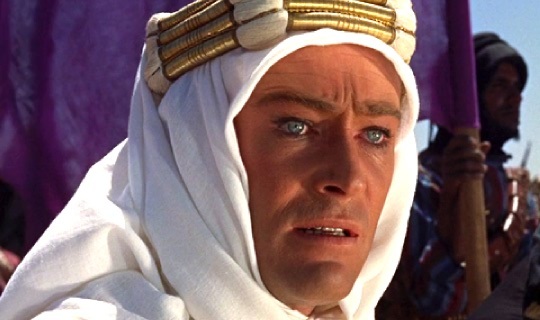 A fascinating route around the locations where important films were shot, including “Lawrence of Arabia”, starring Peter O'Toole, Tom Cruise's “Knight and Day”, “Alatriste”, starring Vigo Mortensen, George Lucas' “Star Wars” and many more: “Cleopatra”, “Black Swan”, “Carmen”, “the Pride and the Passion”, “the Heart of the Earth”, “Callas Forever”... Approximate duration 3 hours. Hispano-moresque courtyards, renaissance gardens, modern gardens... and of course, the park of María Luisa, where the footpaths converge and take us past fountains and statues, rendering the park something of an open-air museum. Approximate duration 3 hours. 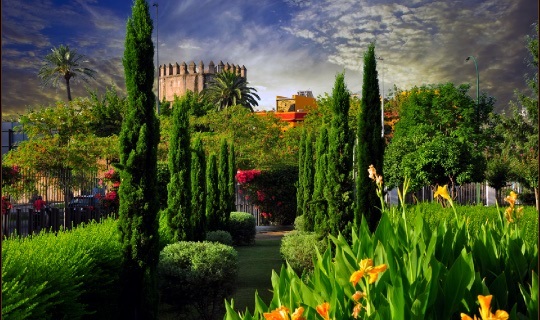 A route adapted to children, amusing and stimulating, where the smaller ones will enjoy themselves and learn about Seville's most emblematic locations. All perfectly organised and fully prepared for the stars of this tour. Approximate duration 3 hours. 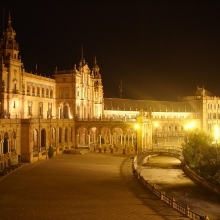 Enjoy Seville in a different way. 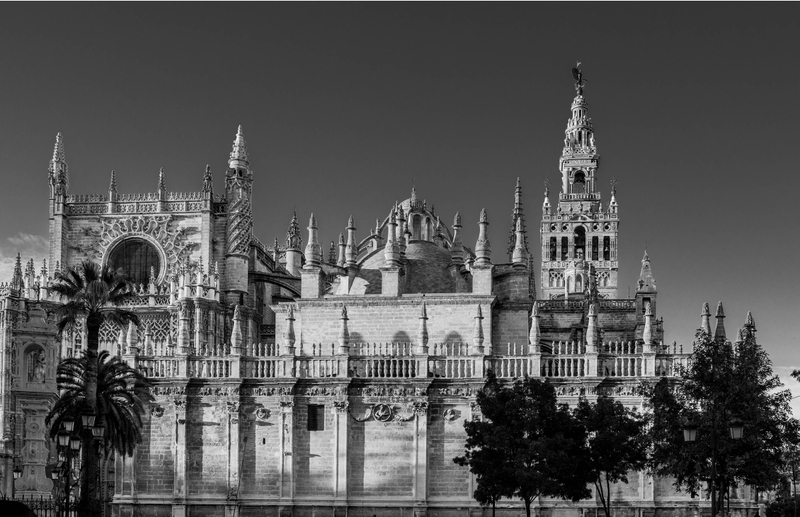 A comprehensive route including stops in the most important locations, enjoying the city's beautiful views in a pleasant bicycle ride through Seville's extensive bike lane network. Approximate duration 2 hours. A magical city, a special colour. Succumb to its charms. 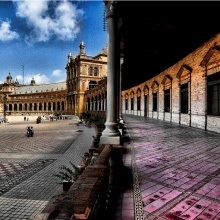 Magical corners of Seville that are ideal for taking pictures. A vast range of hotels and guest houses. 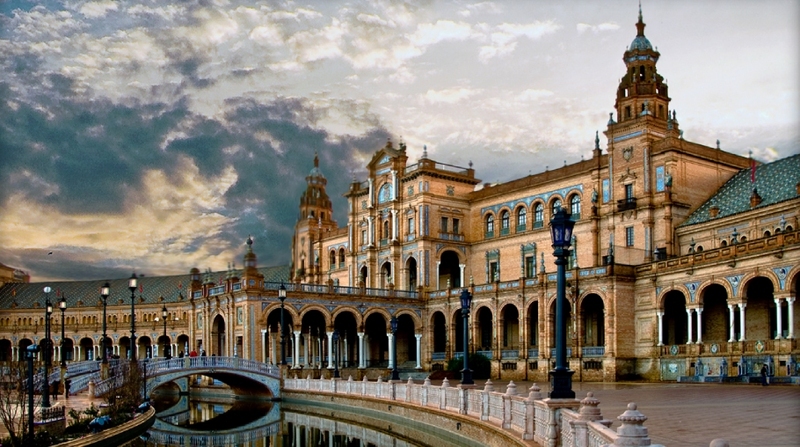 Discover one of Seville's most noteworthy characteristics: eating tapas. 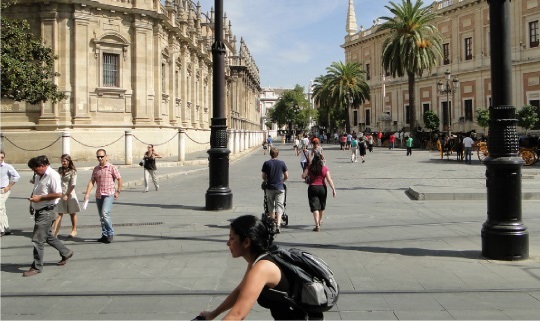 My name is Mercedes Míguez, and I am an official tour guide for Seville. I carry out all the guided tours described on this website, and any others you might require. Just ask me, and I'll organise it for you. 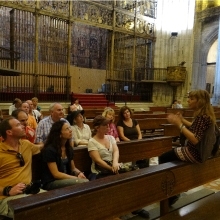 I conduct the tours in three languages, Spanish, English and German. I also organise tours for the blind and the wheelchair-bound. Schools, colleges, associations, organizations and all kinds of groups.